* Is a carefully written introduction to programming, taking the reader from the basics to a considerable level of sophistication. * Emphasises an understanding of the principles and the development of good programming skills. * Includes optional "starred" sections containing more specialised and advanced material for the more ambitious reader. * Assumes no prior knowledge, and has many examples and exercises with solutions included at the back of the book. R. J. Barlow is the author of Computing for Scientists: Principles of Programming with Fortran 90 and C++, published by Wiley. 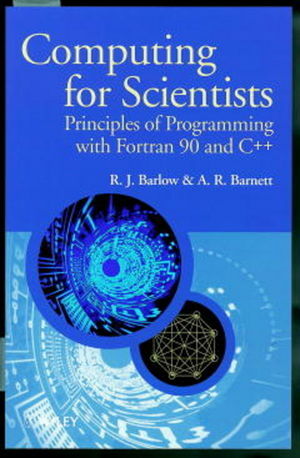 A. R. Barnett is the author of Computing for Scientists: Principles of Programming with Fortran 90 and C++, published by Wiley.